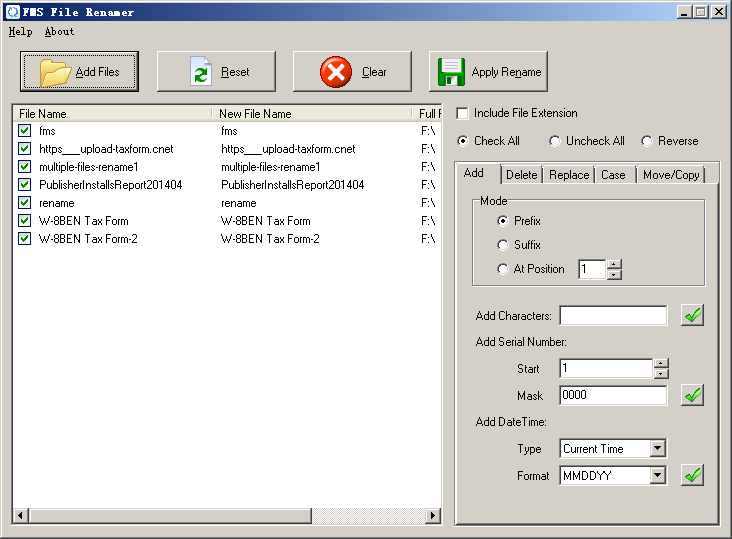 FMS File Renamer is a simple but very useful tool to change files name to uppercase or lowercase characters.Just one click to batch change all files name. You only need to create a list with the files you want to process, then specify whether you want to turn the filenames to lowercase or uppercase or any other ways. Convert file name to lowercase. Convert file name to uppercase. Add prefix to the file name. Add suffix to the file name. Add serial number to the file name at the begin. Add serial number to the file name at the end. Remove characters from file name from first. Remove characters from file name from last. Replace characters from file name with match. 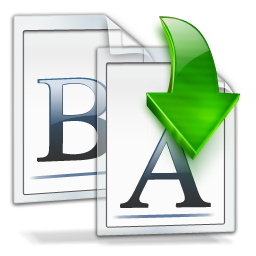 Include or exclude the file extension. Drag-drop.To add files to the list (of files to be renamed), you can use the 'Add files' button, but you can also drag-drop multiple files, directories (or a combination of both) onto the list.